VeriFinger is a fingerprint identification technology designed for biometric systems developers and integrators. The technology assures system performance with fast, reliable fingerprint matching in 1-to-1 and 1-to-many modes. Rolled and flat fingerprints matching. The VeriFinger algorithm matches flat-to-rolled, flat-to-flat or rolled-to-rolled fingerprints with a high degree of reliability and accuracy, as it is tolerant to fingerprint deformations. Rolled fingerprints have much bigger deformation due to the specific scanning technique (rolling from nail to nail) than those scanned using the "flat" technique. Conventional "flat" fingerprint identification algorithms usually perform matching between flat and rolled fingerprints less reliably due to the mentioned deformations of rolled fingerprints. Identification capability. VeriFinger functions can be used in 1-to-1 matching (verification), as well as 1-to-many mode (identification). Image quality determination. VeriFinger is able to ensure that only the best quality fingerprint template will be stored into database by using fingerprint image quality determination during enrollment. Adaptive image filtration. This algorithm eliminates noises, ridge ruptures and stuck ridges for reliable minutiae extraction – even from poor quality fingerprints – with a processing time of 0.6 seconds. . Features generalization mode. This fingerprint enrollment mode generates the collection of generalized fingerprint features from a set of fingerprints of the same finger. Each fingerprint image is processed and features are extracted. Then the features collection set is analyzed and combined into a single generalized features collection, which is written to the database. 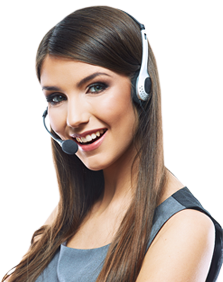 This way, the enrolled features are more reliable and the fingerprint recognition quality considerably increases. Compact fingerprint template. VeriFinger allows to configure the number and size of fingerprint features in a fingerprint template. Combined with unlimited database size, this capability allows to optimize target system size and performance. Subject to stock availability, for UK shipments we use a next day courier service to mainland UK, and a 48-hour service to Ireland. Other destination in Europe are 3-5 days. The daily cut-off for dispatching goods is 11am daily. Delivery cannot be guaranteed. We can ship to virtually any address in the world but there are Export License restrictions on some products, and some products cannot be shipped to certain international destinations. Battery shipment is also restricted by airline regulations. We aim to accurately reflect the stock position of our warehouse, but we cannot guarantee accuracy due to multiple shipment channels. If we experience a stock shortage, then we will aim to give to an estimated date of dispatch, and confirm more formally once the manufacturer shipment has occurred. You mat cancel your order during this process. For the first 30 days, DelaneyBiometrics will replace or repair items under warranty at our sole discretion. Thereafter or if the issue requires a manufacturer inspection, goods will need to be returned to the manufacturer for inspection. This typically takes 4 weeks. In the event of a refund, you should expect to receive your refund within four weeks of giving your package to the return shipper, however, in many cases you will receive a refund more quickly. This time period includes the transit time for us to receive your return from the shipper (5 to 10 business days), the time it takes us to process your return once we receive it (3 to 5 business days), and the time it takes your bank to process our refund request (5 to 10 business days). 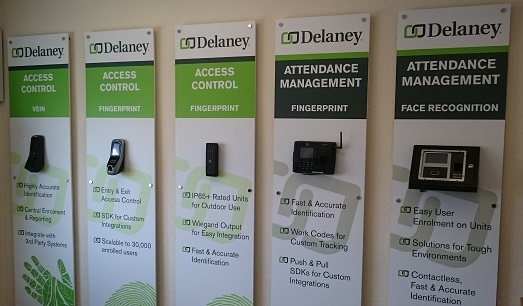 DelaneyBiometrics is a B2B wholesaler only, and as such all transactions are excluded from consumer legislation. MOQ is 200 units - 4-6 week lead time The Customizes EM (RFID) Wristbands are a brilliant option to personalize with your companies logo.